Since the company's inception in 2001 by founders Melanie Lynch-Blanchard and Candess Giyan, Zoetic has supported the growth of countless dance artists in the Atlanta community. Through innovative programs such as the Zoetic Dance Exchange, Small Plates and MIXTAPE, Zoetic has continuously fostered opportunity for exploration, creativity, training and performance to emerging dancers, choreographers and artists. This includes the company's leadership transition in 2014, when founder Melanie Blanchard elected company dancer, Mallory Baxley, as Director. Zoetic Dance Ensemble has evolved since the company was founded in 1999 with the premise of presenting female-driven dance works to a richer, broader and more inclusive audience. Our vision emerged from the years of creating work driven by the narrative of female relationships, the challenges that women face, and the success stories that emerged from dancers who were imbedded in Zoetic’s process. It is not just aspirational, it is reflective - a mirror of what has been occurring within the company since the beginning in 2001. We believe dance is essential to the human experience. Our work focuses on the personal, incorporating the ideas, stories and experiences of the people present in the space during the creative process. Our work has continued to engage artists and audiences in a collaborative relationship for a moment in time with a lasting impact. Melanie Lynch Blanchard and Candess Giyan founded Zoetic Dance Ensemble to create a platform for their shared values: artistry, athleticism, collaboration and fun. Since 2001, Zoetic has established a strong culture of creation that exemplifies the power of the female body and spirit, resulting in the production of deeply personal and highly relatable dance performances and programs. 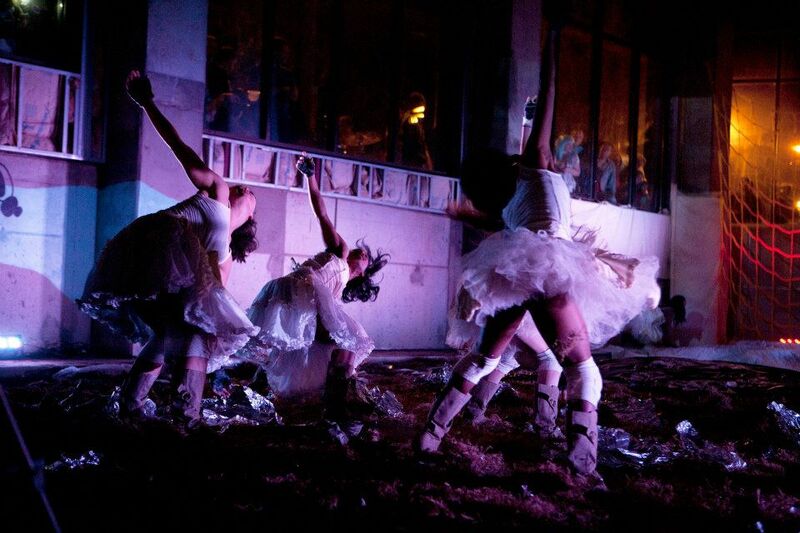 For ten years, Melanie designed and upheld Zoetic’s mission to celebrate the power of the female spirit through dynamic performance works rooted in a creative exchange that empowers artists to lead and learn. Through a consistent focus on quality programming delivered by passionate, professional artists, and thriving on a structure of committed participation and collaborative partnerships, Zoetic has produced highly acclaimed, award-winning performances and programs that engage and inspire. Melanie’s work is truly multidisciplinary and collaborative, inspired by the interactive nature of dance, engaging artists and audiences in a reciprocal relationship for a moment in time with a lasting impact.